The School of Business has an engaged alumni community. Please join us in our continued efforts to support academic excellence and provide service to our community and the next generation of leaders. There are more than 109,000 SIUE alumni living in the United States and around the world. Socialize, network, share news and get involved. 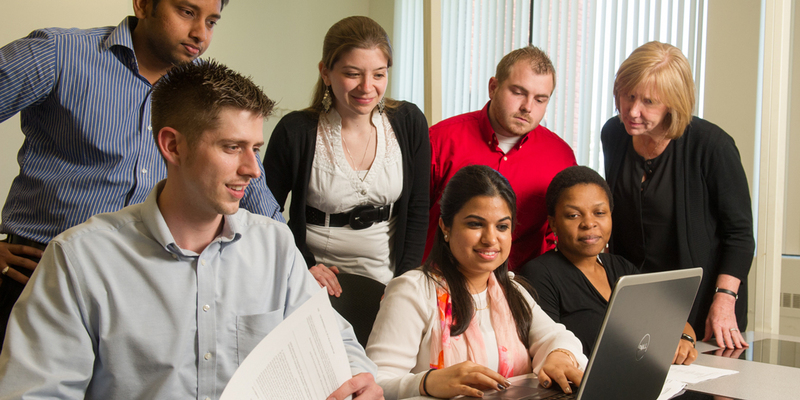 An investment in the SIUE School of Business allows us to continue providing our students a high-quality academic experience with top-notch faculty and an innovative curriculum. Help us shape tomorrow’s business leaders by supporting the School. No gift is too small. Learn more about how to give to the School of Business.